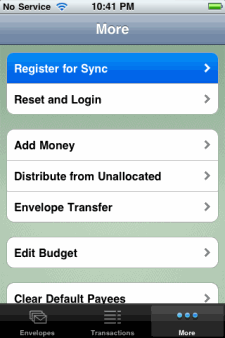 Did you know you can sync your EEBA household across multiple mobile devices and the web? 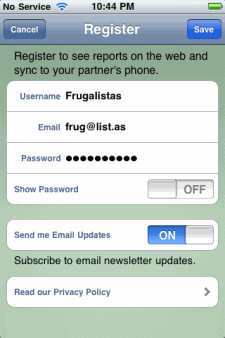 Register your household and you’ll be able to login with the same household username and password on any device. 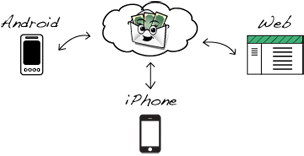 We’ll keep your budget up-to-date automagically. Then fill out the form to complete your registration. That’s it! You can now access your budget on the EEBA website, or on another mobile device. You can now access your budget on the EEBA website, or on another mobile device. You’re already registered! Use the buttons below to download and install the EEBA app to your iPhone or Android phone. When you use EEBA on your phone, login with the household username and password you used on the website. 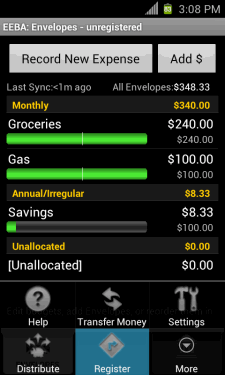 EEBA will sync your budget to your phone, so you can take your budget with you wherever you go. You can sync to up to 2 mobile devices on the Free plan, with more devices available on the paid plans. If you already have an EEBA household and want to upgrade, you can login and upgrade here. I’m super excited about this program. Get your name out there in a search! Or how about some of those bloggers… I found out about this from a friend. Help! I am trying to register my household so I can see my accounts on the Web as well. I started on an Android Device and followed the instructins above but there is no Register option. Make sure you have a solid internet connection and are on the Envelopes tab. 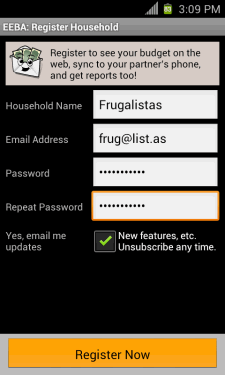 Then when you press the menu button on your phone, you should see the “Register” option seen above. If you still can’t see it, could it be that you’ve already registered on your phone? If so, you don’t need to register again. Just login with the same Household Username and Password on the web to access your information.